On the 24th February 1303, at the Battle of Roslin, south of Edinburgh, a Scottish force under the command of John ‘the Red’ Comyn, Lord of Badenoch, and Sir Simon Fraser defeat an English army under the command of Sir John Segrave. 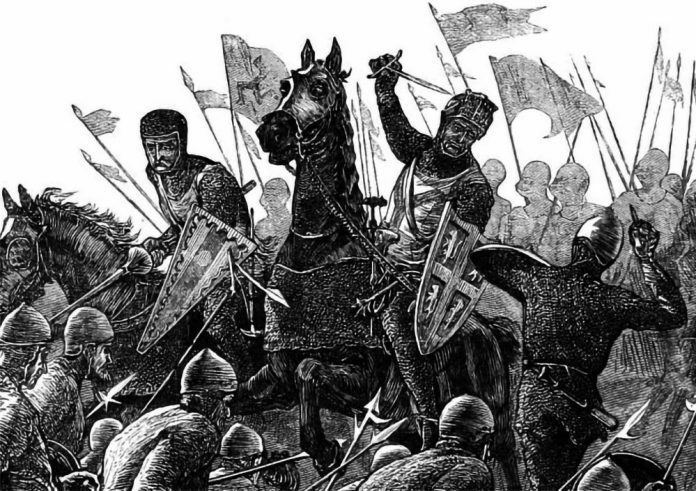 The Scottish historians John of Fordun and Abbot Walter Bower wrote wildly exaggerated accounts of the battle, with Fordun claiming that it was the bloodiest battle ever to be fought in Scotland, with casualties of over 30,000. This can be discounted. The numbers involved in the military engagement at Roslin probably did not exceed 20-25,000 in total. On 10th February 1306, John Comyn would be killed by Robert the Bruce and his supporters in Greyfriars Church in Dumfries.